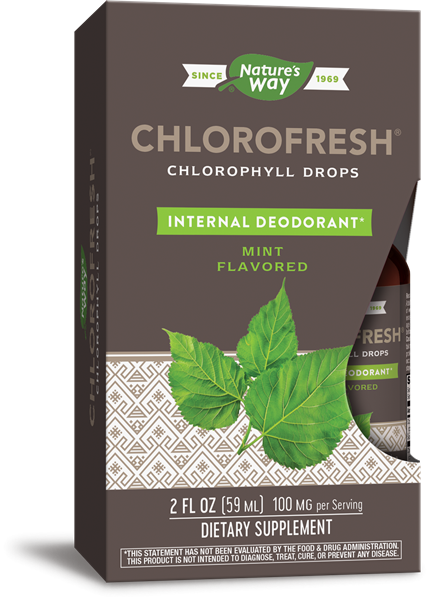 Chlorofresh (Mint) 40X Drops / 2 oz - Nature's Way®. Adults & children age 12 and over: Add 25 drops (0.71 mL) to 8 ounces of water or juice. Drink immediately. Do not exceed recommended dosage. May also be used as a mouthwash, rinse or gargle. Children under age 12: Consult a healthcare professional before use. Chlorophyllin is a green pigment that can stain clothing. Be careful when using this product.